Applegreen has recently opened in Navan Retail Park offering ‘low fuel prices, always’. The 24-hour station provides 6,000 sq. ft of food and beverage and includes a convenience store within a well-designed building located within walking distance to Navan town centre. 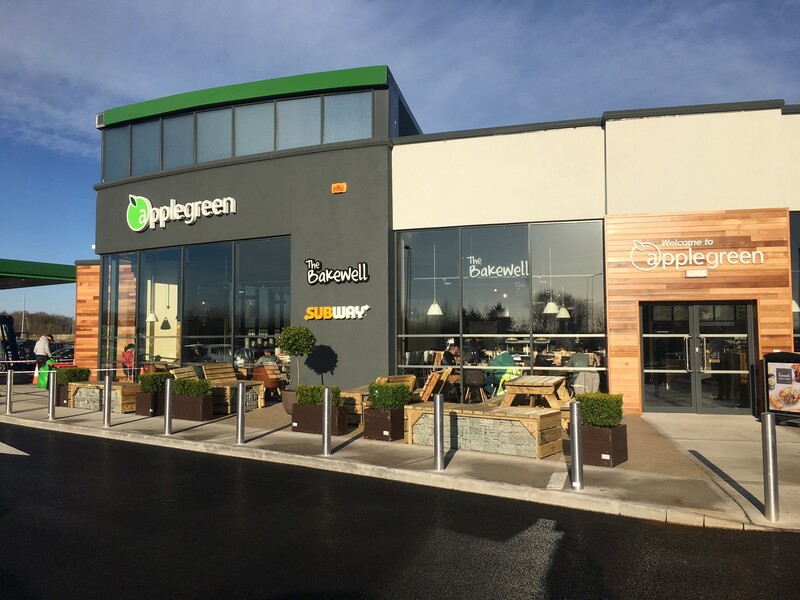 The new Applegreen has a Burger King (with a drive-thru), Subway, Bakewell, Splitz Ice Cream, outdoor children’s play area and a seating capacity for 110 people. Additional services include self-service and automated carwash, ATM, Lotto, Payzone, Wi-Fi, truck stop, car park and toilet facilities. Applegreen is a major petrol forecourt retailer in the Republic of Ireland with a significant and growing presence in the United Kingdom. As at 31 December 2016, it has 155 sites across the Republic of Ireland, 77 sites in the United Kingdom and 11 sites in the United States. Applegreen is the number one motorway service area operator by number of sites in the Republic of Ireland. Navan Retail Park is close to Navan town centre with over 140,000 sq. ft of warehousing space. Retailers include TK Maxx, Smyths Toys, Petmania, DID Electrical, Halfords and Homebase. It also has 1,100 free car parking spaces. It is the largest retail park in its region with excellent access to Northern Link road connecting M3 motorway to Navan. Since 2009, Applegreen has raised over €2 million for its charity partners. The 1 cent campaign donates one cent from every shop and fuel or a shop-only purchase made in Applegreen stores nationwide to the Applegreen Charitable Fund, with no additional cost to the customer. For 2018 Applegreen’s chosen charitable funds are Focus Ireland, Irish Youth Foundation, Debra Ireland, Friends of the Cancer Centre and Food Cloud.